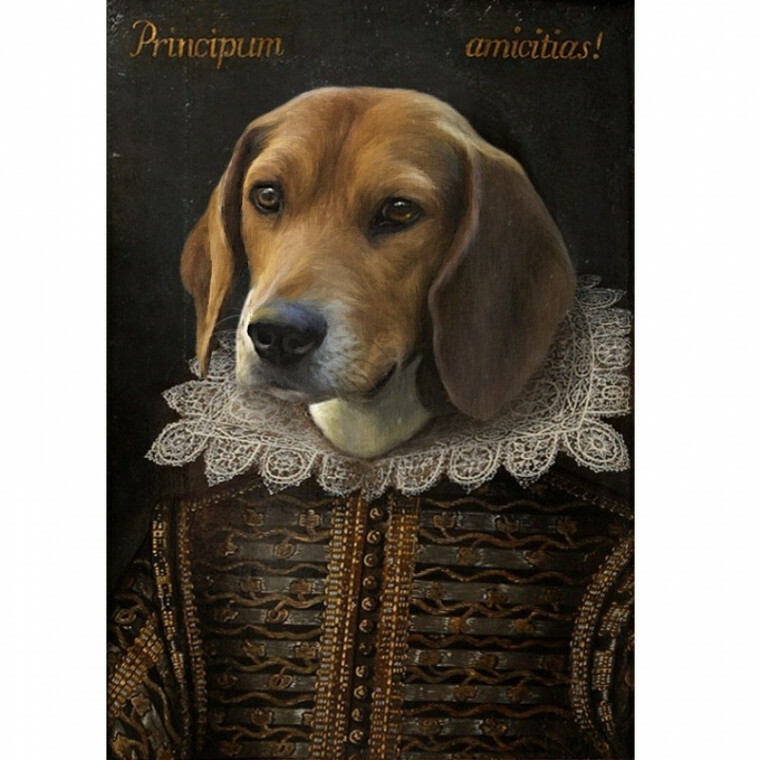 How noble art thou four legged loyal companion! 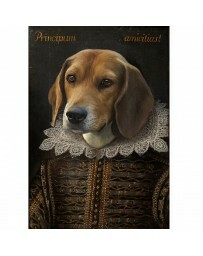 Take thine photo and turn thee into a Shakespearean Painting Masterpiece. 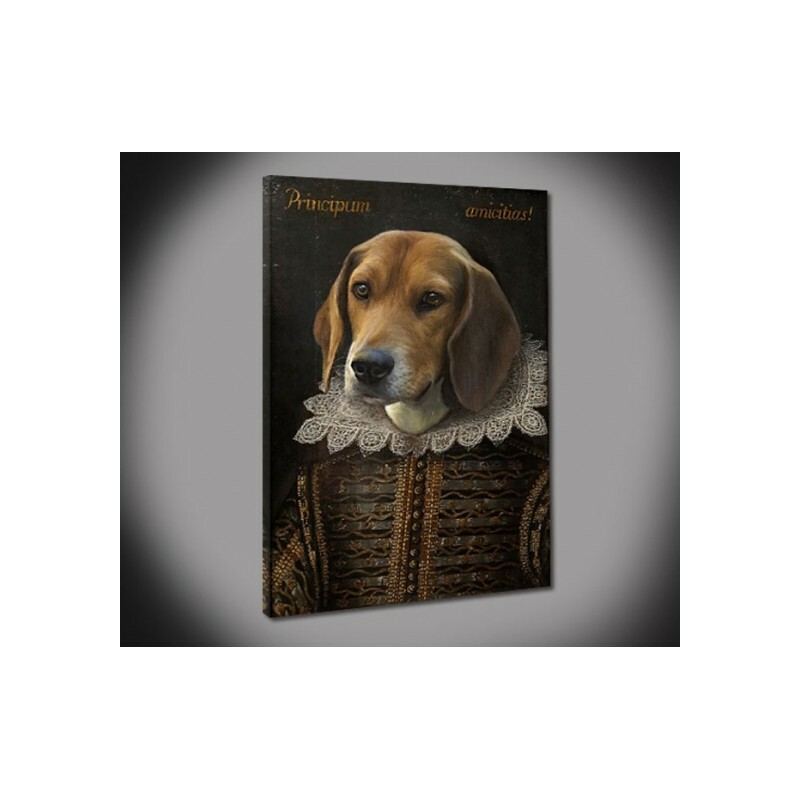 Add a little more humor to life with Snappy Canvas Noble Pet Canvas Painting gift, handcrafted from your Pet’s picture! 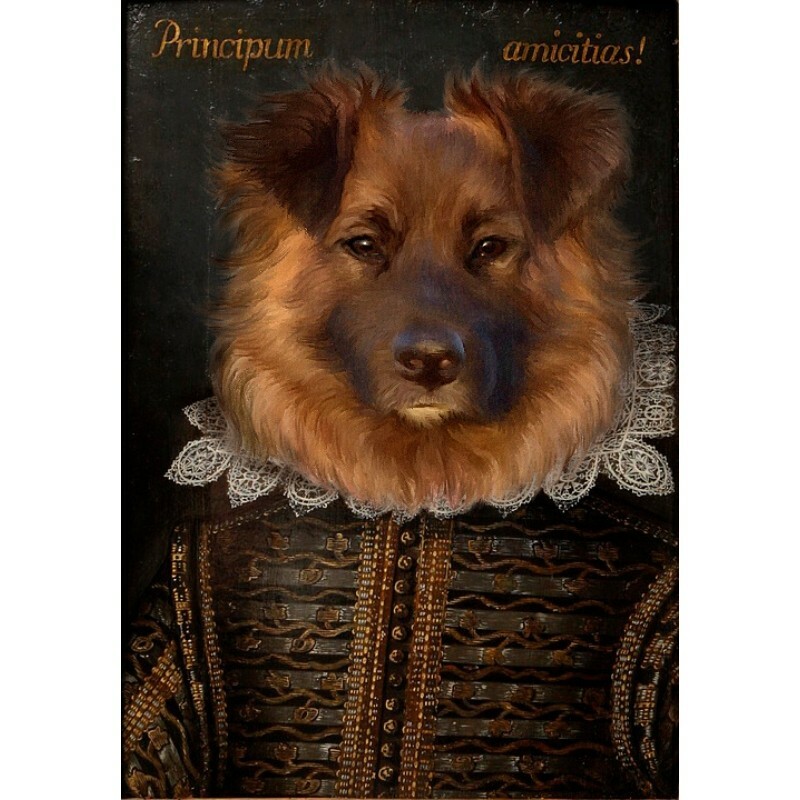 Send in or Upload your most Noble Pet Playright’s Photos and our Artists will turn them into Exquisite Renaissance Style Portraits! 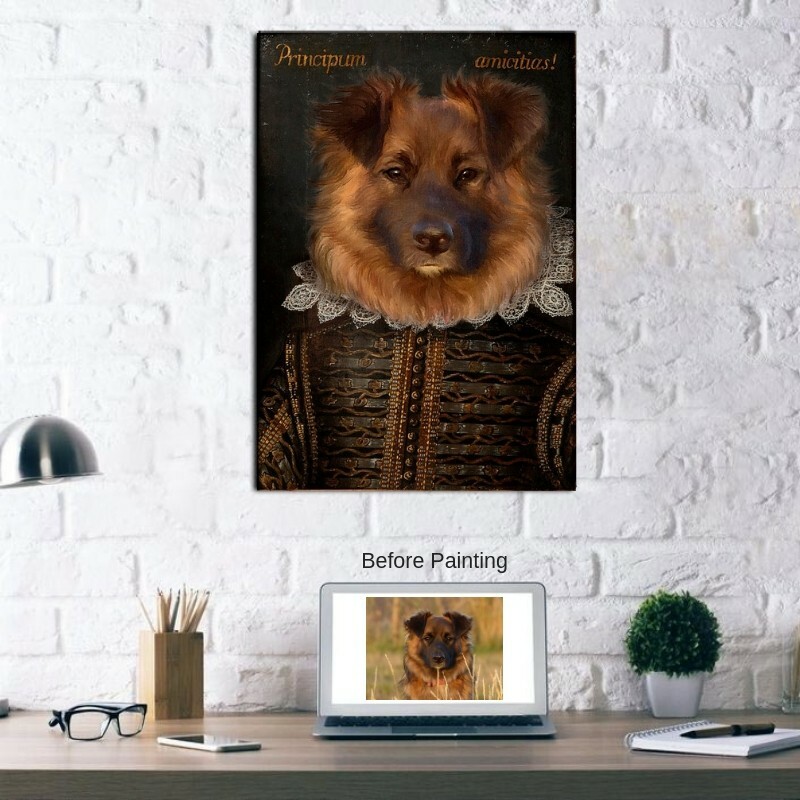 Imagine the reaction of your guests or gift recipients when they see the transformation from ordinary pet photo into 16th century style painting fit for a museum! 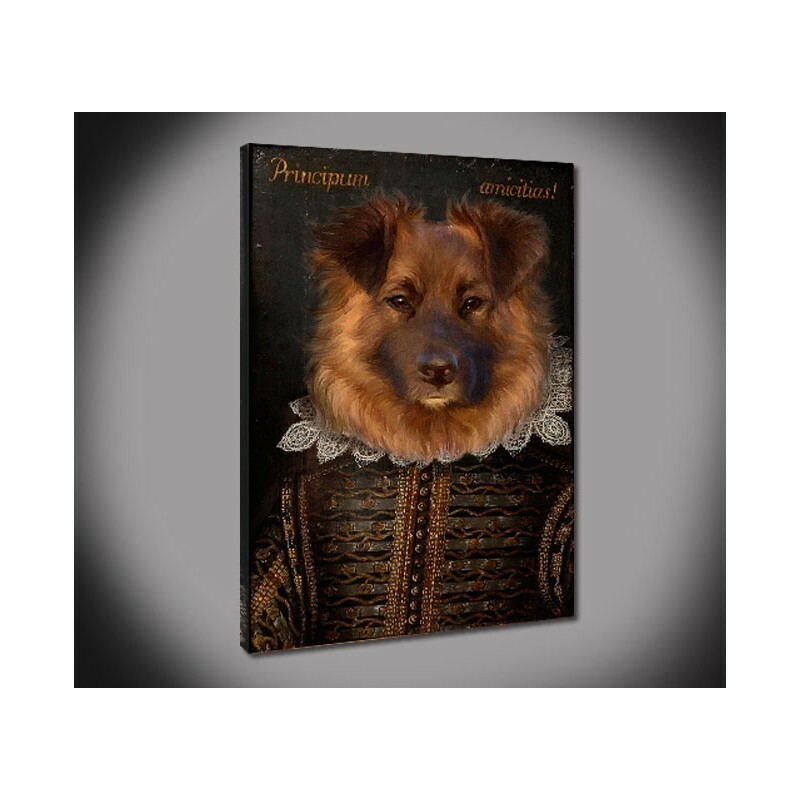 Snappy canvas uses fine quality art material and artisanship, and offers a 100% satisfaction guarantee plus most orders include Free Shipping. Our friendly design and support specialists are always ready to help! 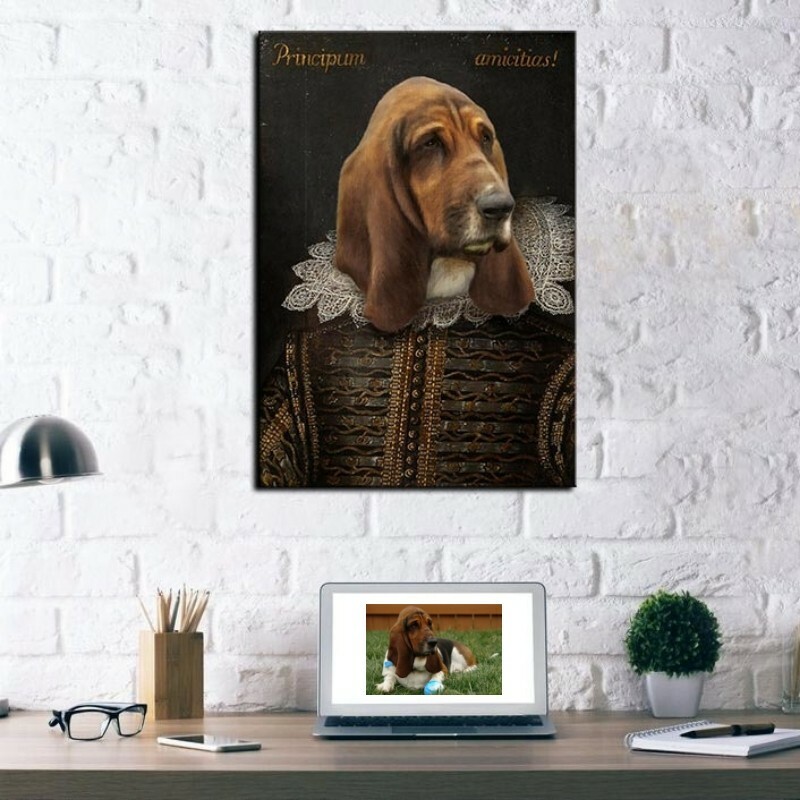 Most orders ship within 1-2 weeks from order or proof approval. Rush shipping available on request.